Last week, lawyer, writer, style-icon and of course former First Lady of the USA Michelle Obama, announced the title of her upcoming memoirs. In a statement, Michelle, who is one of our inspirational figures we admire, said: “Writing Becoming has been a deeply personal experience. It has allowed me, for the very first time, the space to honestly reflect on the unexpected trajectory of my life. This might be an obvious one but we’d really like to know. Barack seems like the most lovely and down-to-earth man as well as former President so we’d love to know that surely, he leaves his socks lying around just like all our husbands, right? In any marriage where both of you work full time, it can be a lot of effort to maintain. It would be super interesting to know how that works for two high profile VIPs. Did you ever get lost? Have you been in every room at least once? We’ve looked at the floorplan and it really is a labyrinth so it would be great to know what it was like trying to call your daughters downstairs for dinner. On a serious note, it would be very interesting to get Michelle’s perspective on living in a world-famous building, knowing that hundreds of African slaves were enlisted to construct it. Well wouldn’t this make headlines? As ever, MO was the most graceful even in a very difficult situation – such as handing over one of the most powerful countries in the world over to, let’s face it, less stable hands. We’d love to know what she was actually thinking when she was given that Tiffany’s box by Melania Trump. And we don’t just mean the usual hobbies; gardening, family time, countryside walks… we want to know if she’s ever sat in the bath with a tub of Phish Food, laptop balanced on the laundry basket, watching Chewing Gum. Or is that just us? 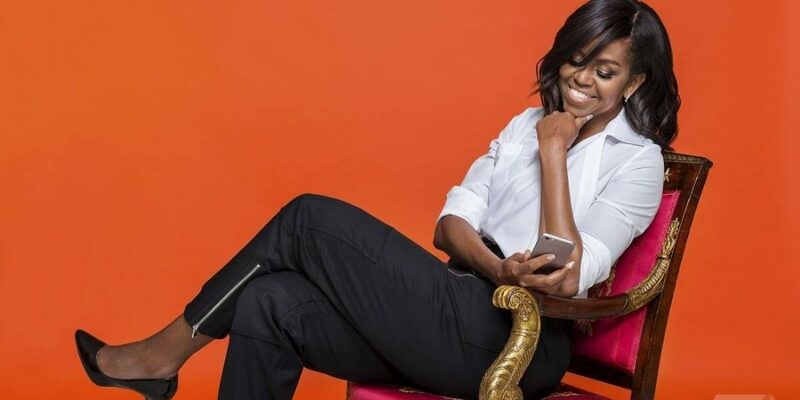 Being a busy and important woman like Michelle, surely, she has some quirky habits that really help her switch off from being a full-time boss lady sometimes. Netflix should probably make a series about Michelle Obama and Jill Biden’s friendship. Despite the fact that their husbands ran the United States and had a famous Bromance, the wives didn’t have to get on more than at just a business level. 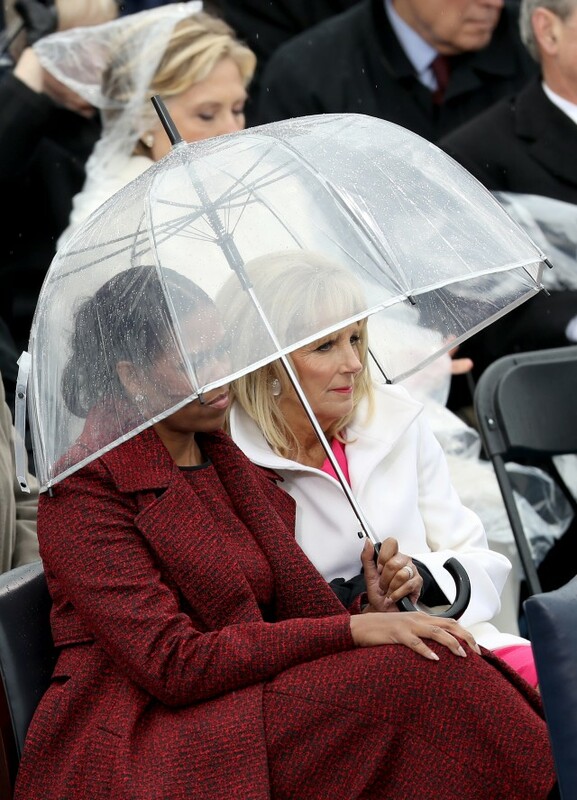 But they did – Michelle and Jill’s friendship melted the hearts of the public when they huddled under the same umbrella at Trump’s inauguration. Powerful women like Michelle Obama must have a massive support network of women behind her. Whether it was her mum, her two lovely daughters, her friends or historical inspirations, we want to know who helped to shape her. She’s a role model for women of all ages and we would like to know in her plans for the future, who she hopes to inspire and encourage. Becoming will be released on Tuesday, November 13, 2018.